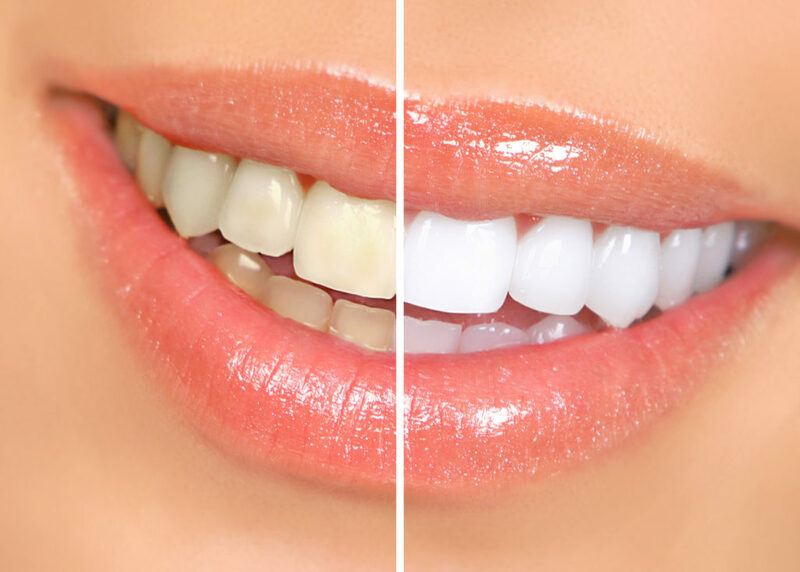 While it’s possible to buy teeth whitening products from the store and apply them yourself, professional tooth whitening treatment from your dentist offers benefits that store-bought products simply can’t provide. 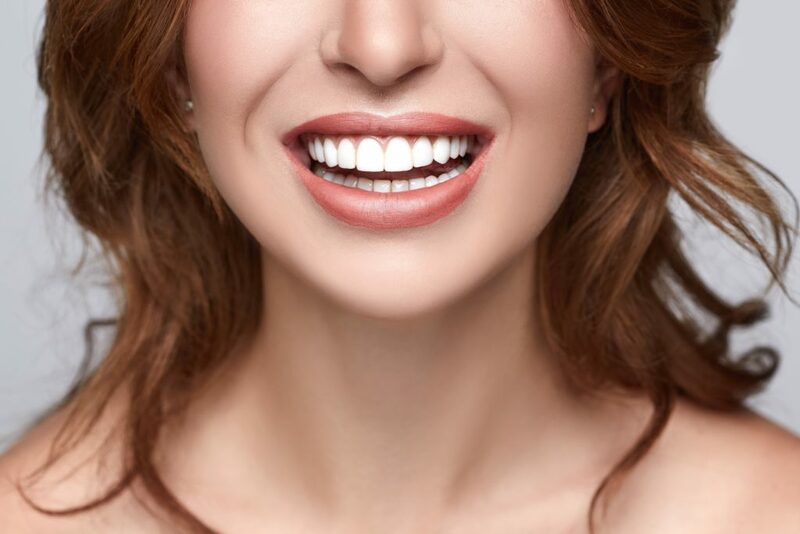 Read on as the cosmetic dentistry team at Turnagain Dental explains the benefits of professional tooth whitening as well as who can benefit. Can You Put a Knocked-Out Tooth Back in the Mouth? A knocked-out permanent tooth is one of the few real emergency situations in dentistry. 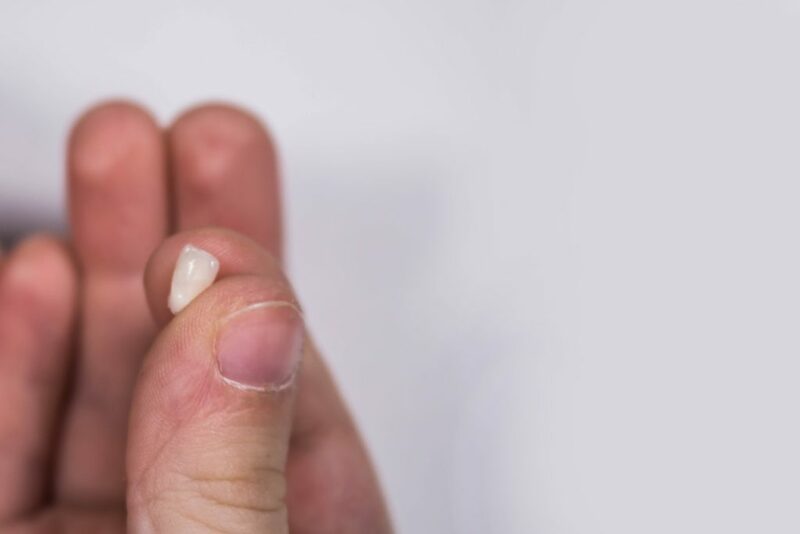 Knocking a tooth out may seem like a traumatic event, but the truth is that it happens all the time among active people of all ages. When a tooth is knocked out, the damaged nerves and blood vessels cannot be saved, but the bone and tissues that normally cover the root can be reattached. Your smile is often the first impression people have of you. The team at Turnagain Dental are here to help you look and feel your best! If you have cosmetic problems like misshapen teeth, chipped, cracked or crooked teeth, gaps, stains or eroded enamel, porcelain veneers may be the solution to improve your smile! In spite of our best efforts, sometimes dental emergencies happen. When they do happen, they can be worrisome. There can also be a question of what exactly constitutes a dental emergency. People are not always sure if they should wait to see the dentist during normal business hours, or if they should call immediately, regardless of the time of day. 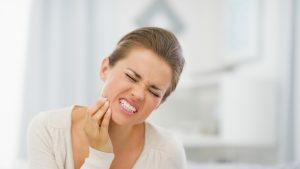 Let’s talk about examples of dental emergencies, and if you should wait to see the dentist—or if you should do an online search of the term emergency dentist Anchorage, AK. A dental emergency is any dental issue that needs to be addressed right away. 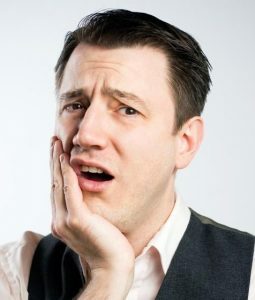 Virtually any dental pain that the patient is preoccupied with can be defined as a dental emergency. A broken tooth, infected gums, or extreme sensitivity to hot or cold temperatures could qualify as an emergency. Pick up the tooth and carefully rinse off any debris. Try to avoid touching the root of the tooth if possible. If you can, reinsert the tooth into the socket. Hold the tooth in place by closing your jaw and lightly biting on that tooth area to keep it positioned, or holding the tooth in place with a finger. If you are unable to reinsert the tooth, place it into a glass of milk. This will help keep the tooth moist. DON’T submerge the tooth in regular tap water, the tooth will become damaged if exposed for long periods of time to the chemicals present in tap water. Visit an endodontist as soon as possible. What should you do if you have an abscess? An abscess is a bacterial infection. Symptoms include redness, pain, sensitivity to hot and cold temperatures, swelling, and pus. The swelling and discoloration will be present at the root of the tooth, above the gum line. An abscess has the potential to be life threatening, as the infection could continue to spread from the tooth throughout your body, so contact your dentist right away. What DOESN’T constitute a dental emergency? A chipped tooth, noticeable cavity, or a dull toothache is not an emergency. These minor dental issues can wait for a dental appointment. Is Your Dental Situation Urgent? If you have any of the above situations occur, it is best to call your dentist immediately to deal with the situation right away. If you have a nonemergency situation, you should still call your dentist and make an appointment to be seen as soon as possible. But if it is after hours or the weekend, you are probably just fine waiting until the next available appointment. When you’ve had one dental emergency, you will probably vow to do whatever it takes to avoid having more emergencies in the future. When it comes to dentistry, prevention is key—and that is the case with emergencies as well. Those who visit their dentist regularly are less likely to have an unexpected emergency happen than those who don’t. Stay on top of your oral health and do what you can to prevent dental emergencies from happening. Contact our Anchorage dental office if you think you’re having a dental emergency. If you are in the middle of finding the right dentist, there are a number of factors you will want to keep in mind before making your decision. You want to find a dentist who will partner with you in maintaining your oral health for many years to come. 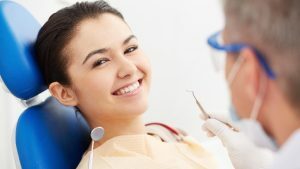 You want to find a dentist will be a solid part of your overall wellness “team.” What kinds of things should you consider when you are looking for the right dentist in Anchorage, AK? You can do an online search for a dentist and have plenty of options pop up, but why not start with asking trusted family and friends if they would recommend their own dentist? This way, you’ll gain first-hand knowledge of the type of doctor and the type of practice you might be dealing with. You can also reach out to your pharmacist or doctor and ask for recommendations. Is the office in a convenient location with convenient hours? If not, this will make it tough for you to actually see your dentist. A location close to home or work makes the most sense. Does the dentist submit insurance claims to all providers? You’ve got the logistics down about your potential new dentist, but what about the rest of it? How does the dentist make patients feel more comfortable in the dentist chair? Do they offer sedation? What kind of technology is available? Are emergency hours available for patients who have a dental emergency? Are the doctors open and up front about treatment plans and cost estimates? Choosing a dentist in Anchorage, AK, doesn’t have to be a difficult decision. If you are looking for a new dentist, we invite you to give us a call! Missing one or more teeth can cause a whole host of problems, including problems with eating and drinking. Missing teeth can also lead to more missing teeth if you don’t get the problem fixed sooner rather than later. If you have looked into getting your missing teeth replaced, you probably know that a bridge, dentures, or dental implants are among your options. You may also know that dental implants are usually considered to be the best replacement because they look and function most like your natural teeth, and they are long-lasting without the needed repairs and adjustments that go along with dentures. If you are looking at getting dental implants in Anchorage, AK, let’s take a look at how you can prepare for the process. It is a surgical procedure, and you should know what’s involved before you get started. The first thing you’ll need to do is to have a thorough examination done to assess the health of your mouth. In addition, your dentist will need to assess whether or not your jawbone is healthy enough to hold the implants. Your dentist will take x-rays of your teeth and mouth, and there will likely be a model made as well. You will also go over your medical history, including any current issues and medications you might be taking. Depending on your unique situation, you and your dentist will discuss the best treatment plan for you. This will be based on the condition of your jawbone as well as how many teeth need replacing. Because this is a surgical procedure, your dentist will go over pain options as well as discuss both local and general anesthesia. If you will be put under during the procedure, you will need to arrange transportation afterward. Restrictions on eating and drinking before the procedure will also be discussed. Your damaged teeth or tooth will be removed. Your jawbone will be prepared for the surgery. A bone graft might be needed, but this will depend on the current health of your jawbone. There is a healing process after the implants are placed into the jawbone that lasts a few months. An abutment will be placed on the dental implant, and your new crown will be put on that. Don’t live with missing teeth! For dental implants in Anchorage, AK, contact Turnagain Dental! Missing teeth are problematic for a number of reasons. If you are missing teeth, you might be feeling self-conscious about your smile. If you are missing teeth, you might have trouble eating and chewing properly. In addition, when you are missing one tooth, this can often lead to more missing teeth. Most people are aware that a dental bridge or dentures are an option, and both of these will work to give you back most of the function of your missing teeth. However, when considering the long-term, you may want to consider dental implants. Not only do dental implants look very much like your natural teeth, but the function of implants is closest to your natural teeth. If you have missing teeth, talk to your dentist in Anchorage, AK, to find out if dental implants are right for you. What Does It Mean to Get Dental Implants? If you have considered dental implants, you are probably wondering about the dental implant process. Let’s take a look at what you might expect. First, you will meet with your dentist in Anchorage, AK, for an initial consultation and examination. Afterward, your dentist will be able to tell you whether or not you are a good candidate for dental implants. Next, your dentist will describe for you how implants are surgically placed into your jawbone. After they are placed, they will integrate into your bone and become a part of your body, just like your natural tooth root was. Usually made of titanium metal, the implants will be topped with a dental crown that looks very similar to your natural tooth after the jaw has healed. Once the dental implant process has been completed, you will have the form and function of your natural teeth. There are no eating or chewing restrictions with dental implants as there are with dentures. The main advantage to dental implants is that they won’t slip around like dentures can. Another advantage is that they will prevent the jawbone from shrinking. The implants stimulate the bone the same way your natural teeth would, ensuring that the bone stays strong and healthy. If you are missing one or more teeth, find out if dental implants are right for you by talking to your dentist in Anchorage, AK. Give us a call at Turnagain Dental today! I’m Having a Dental Emergency! What Do I Do? No question about it – a dental emergency can really wreck your day. Whether you woke up with sharp pain in your tooth or you were hit in the face by a surprise fly ball during your recreation league softball game, you need help and you need it quickly. If you need emergency dentistry in Anchorage, AK, you can turn to Turnagain Dental. We leave space in our schedule every day for the inevitable emergencies, so call us right away so we can get you in to assess the emergency and provide necessary treatment. It’s important to note that a dental office is set up to handle dental emergencies, not more serious or life-threatening issues. If you suspect a concussion or a broken bone or you are bleeding or having difficulty breathing, please call 911 or visit the nearest emergency room immediately. We can deal with your dental emergency once you are safe! If you are a patient of record with Turnagain Dental and your emergency has happened after business hours (as is common for all kinds of emergencies! ), don’t worry! We’ve still got you covered! Call the office number and you’ll be provided with instructions for contacting Dr. Green after hours so that he can triage you and provide you with recommendations to keep you comfortable until we can see you. Knocked-out or displaced teeth – If the tooth is knocked completely out, find the tooth (if possible) and handle it carefully, by the crown only. Rinse it in warm water, but don’t scrub and take care to not disturb the fragile tissue attached to the root. Place it in a cup of milk, salt water, or even your own saliva and contact us immediately. Ice packs and an over-the-counter anti-inflammatory can help with the pain and swelling. Lost restorations – You can purchase over-the-counter dental cement at many pharmacies, and this can be used to temporarily hold a lost crown or other restoration. Call us so that we can replace the restoration more permanently. If you are feeling discomfort, apply ice packs and take Tylenol or ibuprofen. Abscesses and other infections – Infections in the teeth and gums can be incredibly painful. Call us right away. Infections should be handled quickly because they can spread to other teeth or even other areas of your body. A salt-water rinse and over-the-counter medication will help with the discomfort, and ice packs will help with the swelling. Bottom line – if you are in pain, call us right away! We are here to help you. If you have an oral surgery coming up, you probably have a lot of questions for your oral surgeon in Anchorage, AK. At Turnagain Dental, we are always here to help you by answering your questions and addressing your concerns! Many patients wonder what steps they can take to prepare themselves for their upcoming procedure. Most procedures, including wisdom tooth extraction and dental implant placement, don’t require a large amount of preparation on your part. The procedures aren’t long and complicated and recovery is fast. Follow all of Dr. Green’s instructions. If you need to pick up prescriptions prior to the procedure, make sure to do this. Stock your pantry with soft foods. Yogurt, pudding, smoothies, hard-boiled eggs, and cool soups, and protein shakes are all great choices for nutrition following oral surgery. Dr. Green can let you know how many days you should be prepared for. Stop smoking. Smoking can interfere with recovery from oral surgery in a number of ways. The sucking action of smoking a cigarette can dislodge the clot from your socket, which is needed for healing. Smoking also causes blood vessels in your mouth to restrict, delaying the healing process. This delay can create a greater opportunity for infection or other complications. We can discuss smoking cessation options with you ahead of time. Schedule work and other activities accordingly. You will want to make sure you have a day off from work and other activities, like driving. If you are taking a prescription for pain, you want to be especially careful to avoid these types of activities. Arrange for a day or two off following your procedure as well. Make arrangements for someone to drive you to and from your appointment. This will allow you to relax and take your medications right away. We want you to have an excellent experience. Any time you have questions, please don’t hesitate to call our Anchorage dental office and ask! We can all agree that brushing your teeth several times daily is vital for your at-home oral care routine. But with so many options available today for toothbrushes, it can be hard to decide which brush is right for you and your family. Both electric and manual toothbrushes offer benefits, so getting all the information about each of these tools is the best way to decide what will be best for you, and of course your dentist can help you make the decision as well! Manual brushes are of course the option we are all familiar with. One of the benefits of a manual brush is the wide array of options you have. You can choose softer bristles if you have more sensitive gums, a smaller brush head if you have a smaller mouth, and many different handle options for your comfort. Traditional brushes are easy to travel with since you don’t have to worry about a charger or batteries along the way. 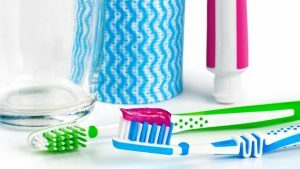 Another huge benefit of this option is that it’s cheaper, and if you’re keeping up with your regular dental cleanings, you probably get brushes for free each time you visit. The major cons of a manual brush are that it is more work, since you don’t have the motor to move the brush for you, and that there is not a timing option. Electric brushes often simply turn off automatically once you’ve brushed for the recommended amount of time. Electric toothbrushes are very easy to use. You can simply hold the brush, and push the button, and let the brush do the rest of the work for you. Since they often include a timed feature, you can be sure that you are brushing for the right amount of time, every time. Many studies have also found that electric brushes actually tend to clean teeth better than manual brushes, making it a more effective option for many people. Since oral health is so vital to your overall health, ensuring that you get a great clean everyday with brushing is very important. On the con side, electric brushes are much more expensive, both with the initial investment, and for replacement brush heads. You also have to be sure that you always keep your electric brush charged, or keep batteries around to ensure that it works properly. This option can often be breakable as well, so it’s important to be careful not to drop your brush on the floor. If you have any questions, or if you’d like to schedule your cleaning with our dentist, give us a call today for more information! We look forward to helping you get the smile you’ve always wanted, and to helping you stay healthy!